This blog explains how to pass userid/password using Basic Authentication to a SOAP 1.1 web service. It took me about 2 1/2 days of trying different things to get it working. SOAP-UI was working, and I couldn’t get any of the Basic-HTTP, WS-HTTP, or WCF-Custom SendPorts to work, even after creating a “behaviorEnhancement” plug-in. Since SOAP-UI was working, I finally followed advice of blogs and coworkers to use Fiddler to capture the request with SOAP Headers. 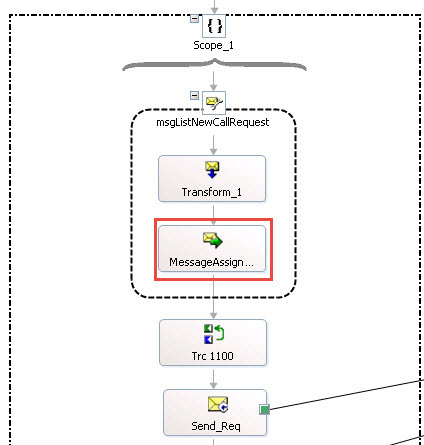 Then it only took an hour or two to properly format the request for a message assignment shape in an orchestration. This was the error I was getting when it wasn’t working, i.e. trying to configure the user/pass in the ports. I knew from SOAP-UI that if I passed a bad password, I would get “Not Authenticated” instead of “Unauthorized”. This also has a big advantage for our specific application. We might need to pass a different user/password for different regions. For example, the same app might run for USA and for Europe; so we can dynamically switch out the user based on some region or country code. // 02/10/2015 12:21 with Richard - remove soapenv:Header   THIS ONE WORKS! This was my original MSDN social forum post on this issue. Most of the answers were of little value, which why I posted a full blog here. Now, below are the blogs that lead me down the path of a custom WCF behavior extension, which still get me the “Unauthorized” result – so that was a loss of almost one day. I’m not saying it would never work, but I didn’t get it working. It required writing a C# program, putting it in the GAC, registering it to BizTalk, then magically it appears in the Behavior tab of the WCF-Custom SendPort. However, it was an interesting learning experience, but rather tedious. But isn’t nonce supposed to be unique each time to prevent replay attacks? Or is the server you happen to be calling not checking it against previous values? Thanks for posting. I later did create a C# business component to generate the unique Nonce code: http://mylifeismymessage.net/getnonce-a-c-routine-to-generate-the-nonce-code-for-ws-security/. But you are correct. I’m calling a web service at another company, and they didn’t complain at all when I sent the same Nonce code over and over.